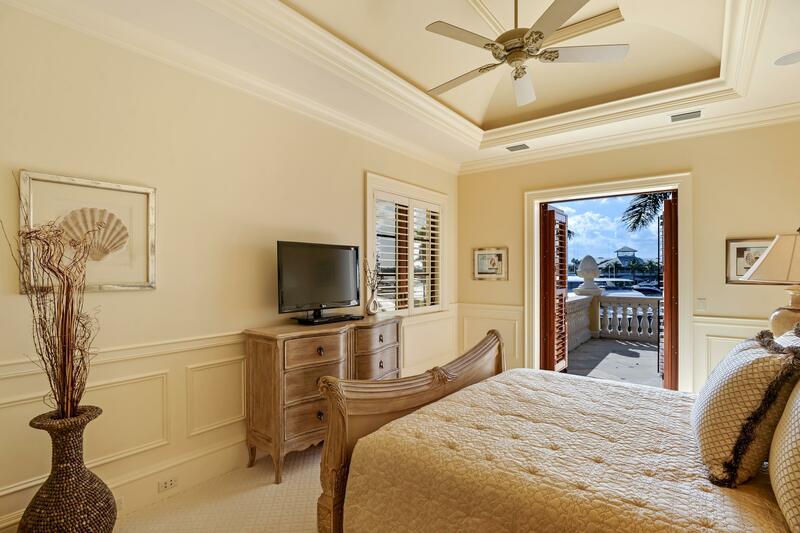 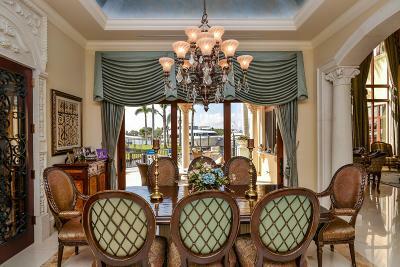 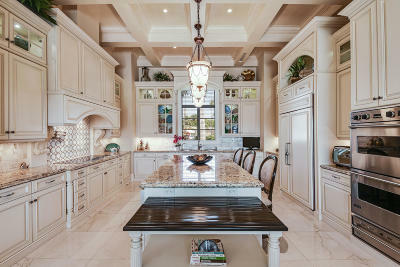 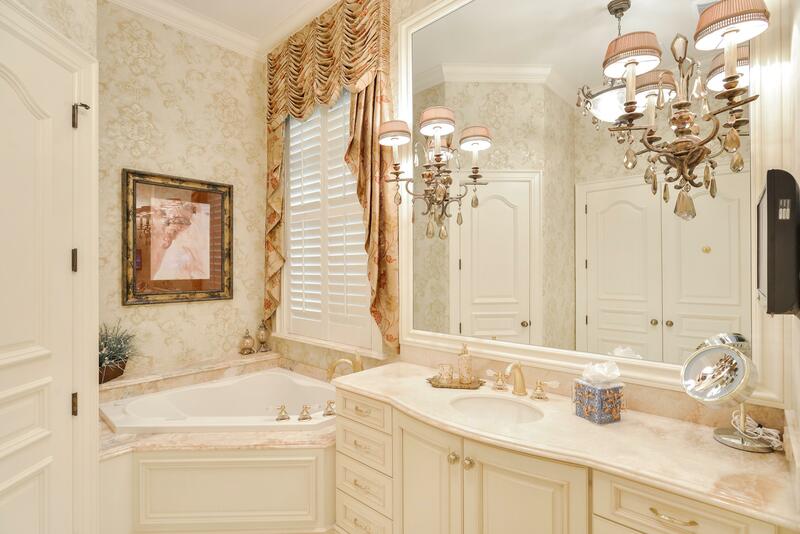 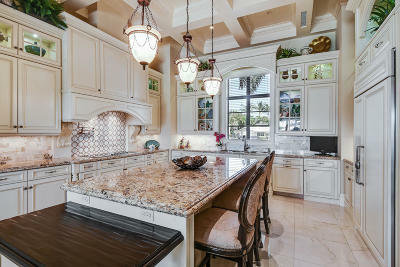 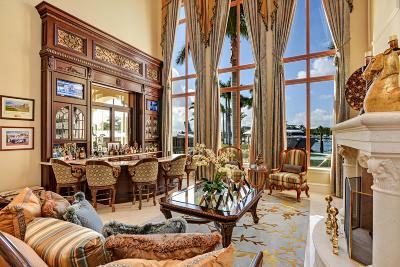 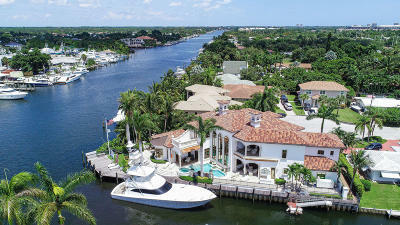 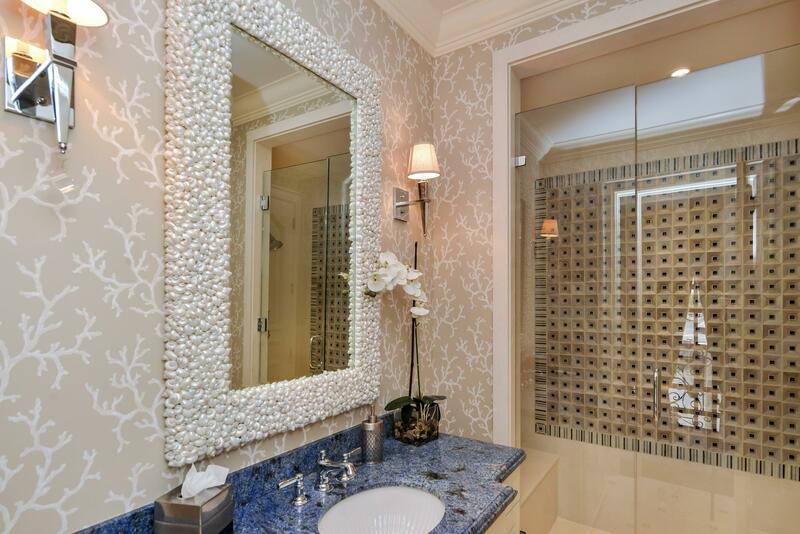 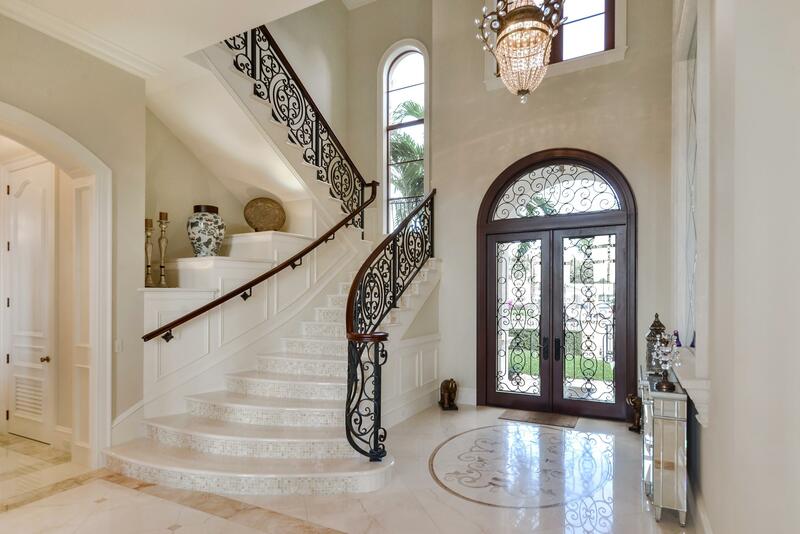 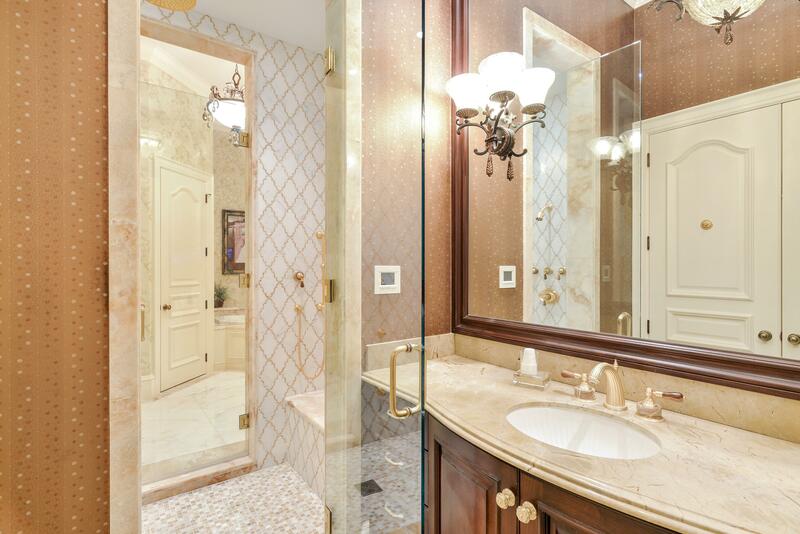 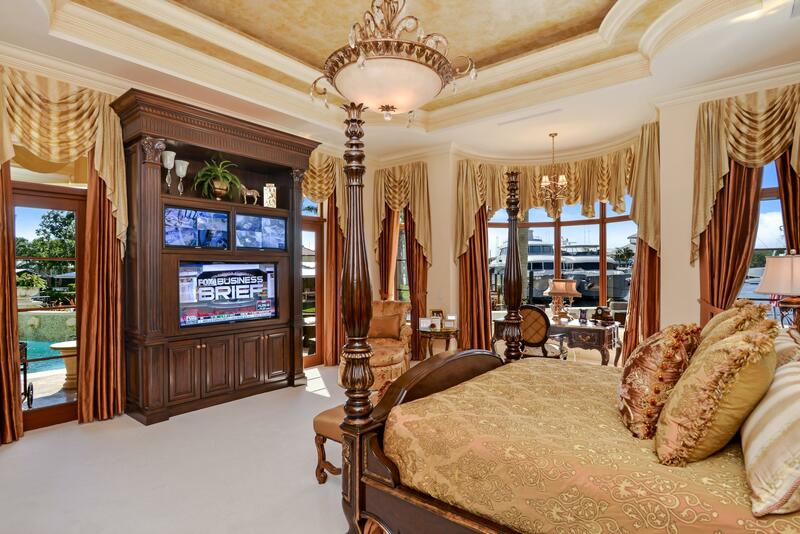 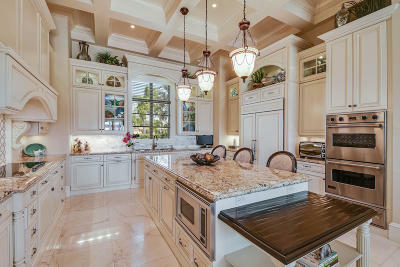 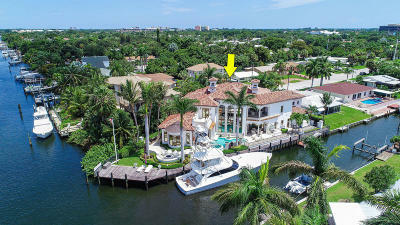 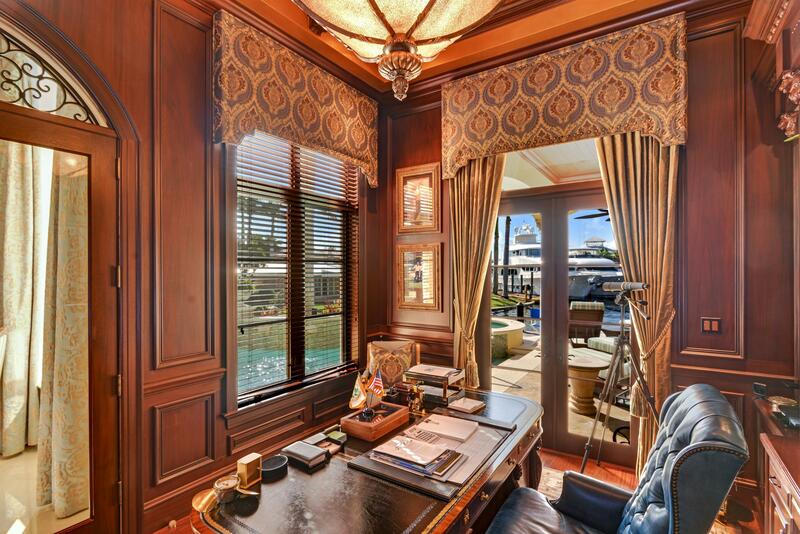 Regency and Elegance Personified in this Grand Waterfront Estate Home. 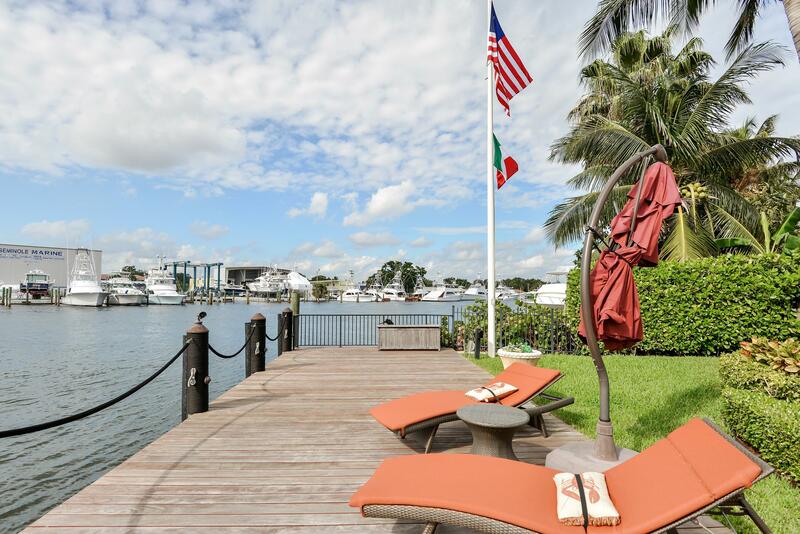 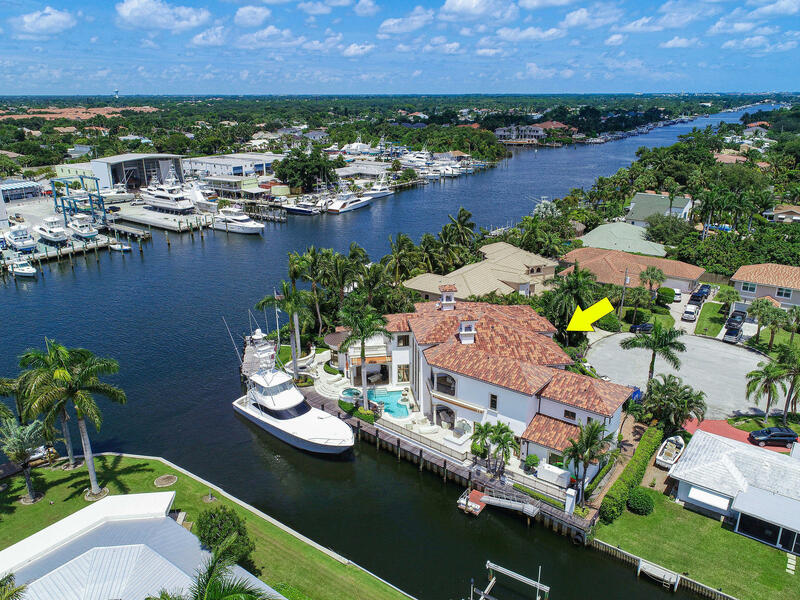 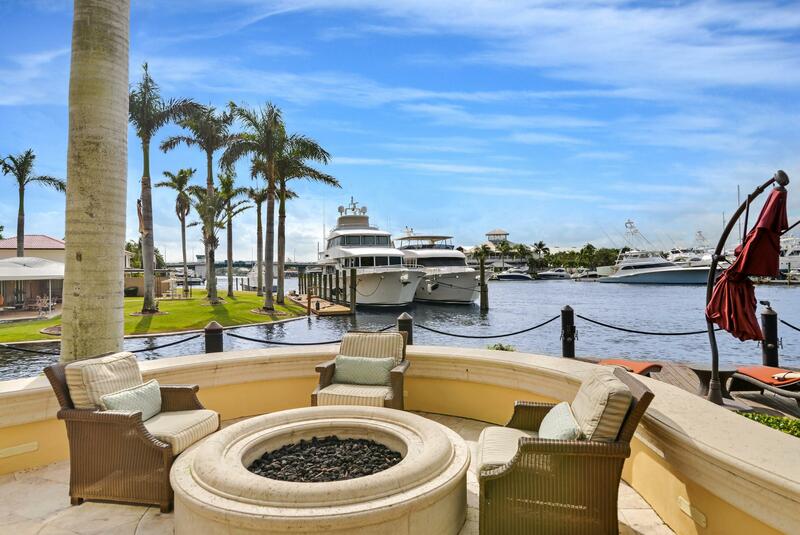 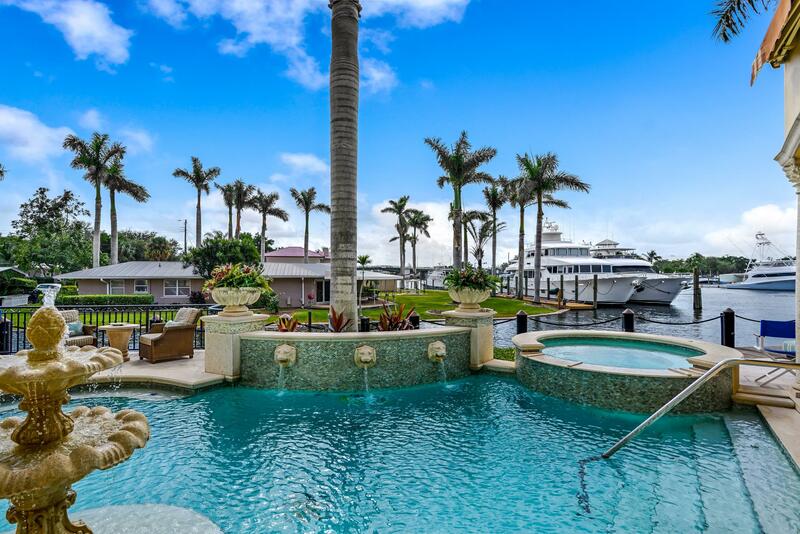 Enjoy the ultimate coastal lifestyle on 189' of waterfrontage with deep water dock directly on the Intracoastal w/ no wake zone. 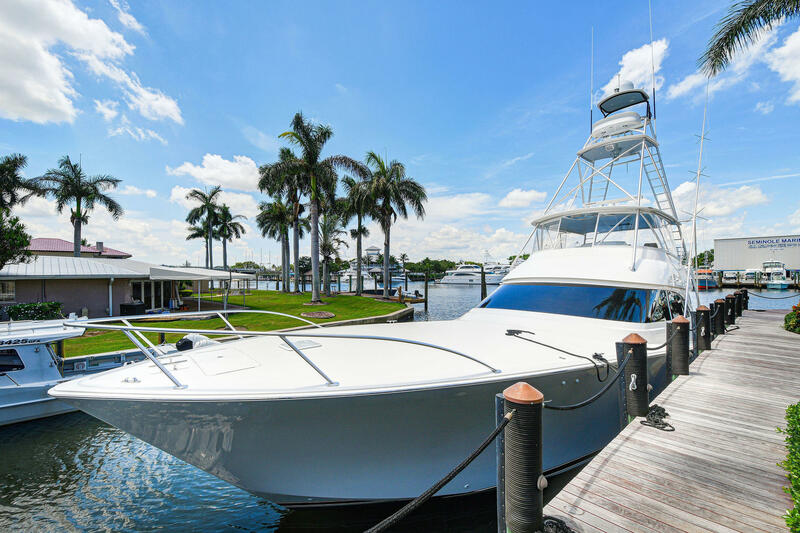 A 120' slip accommodates up to a 21' beam and is conveniently wired with two 200-amp service to comfortably house the finest yacht or sportboat. 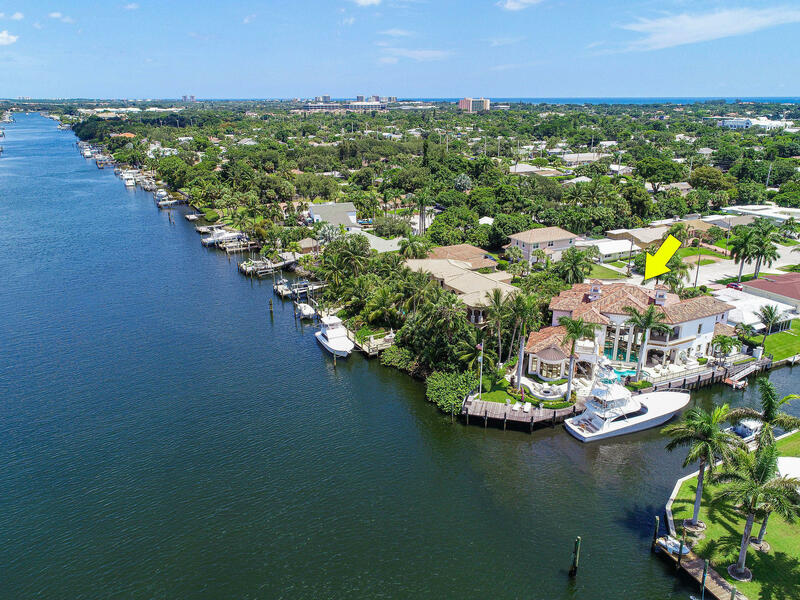 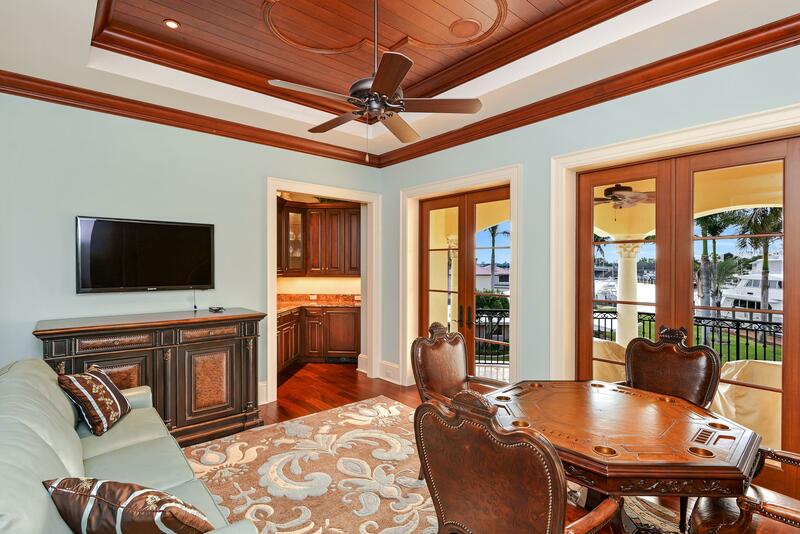 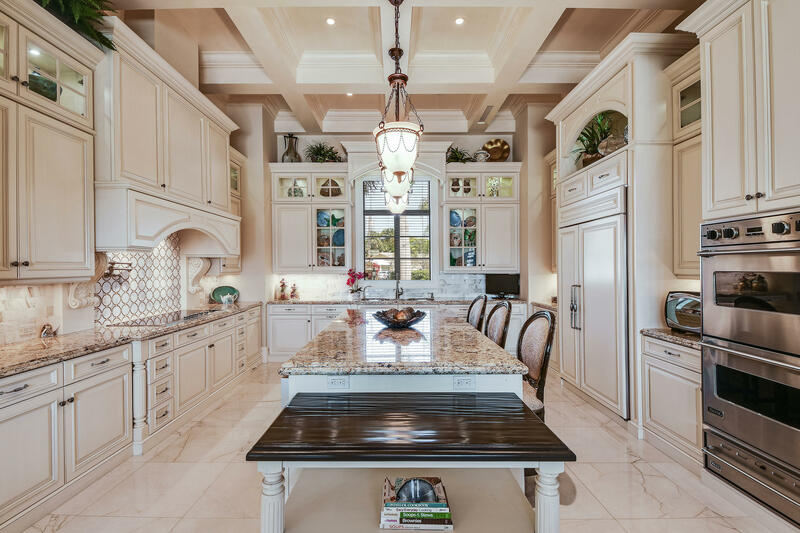 Located on a large point lot, this completely custom-built Onshore Construction home boasts exquisite attention to detail, the finest craftsmanship, luxury appointments and unsurpassed water views throughout. 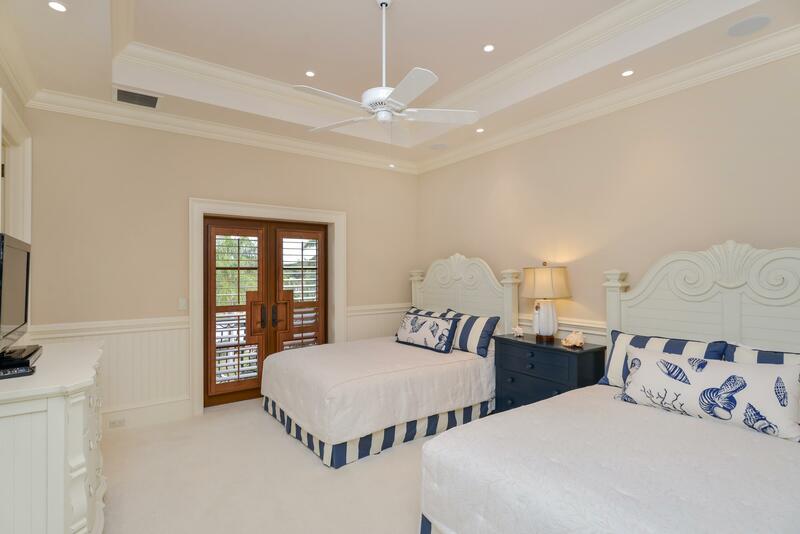 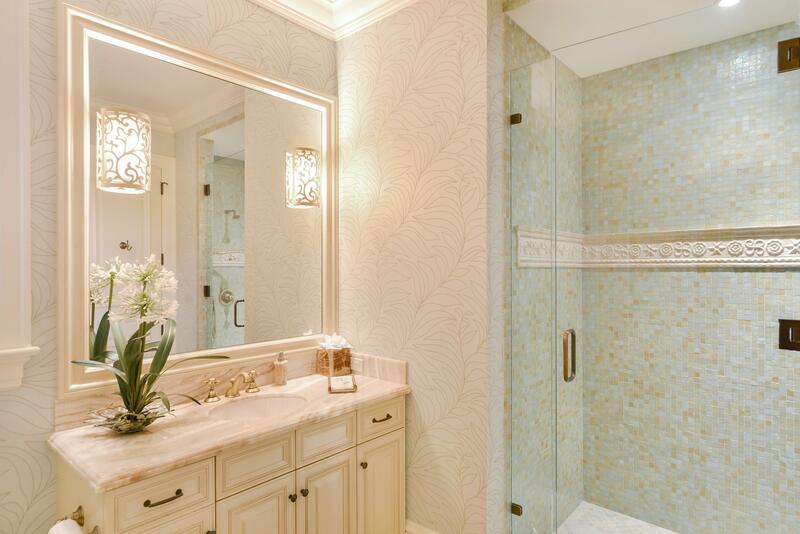 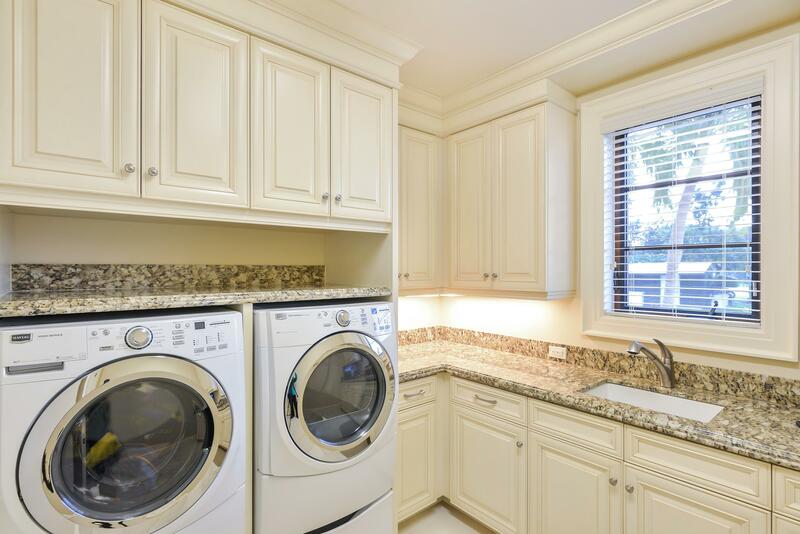 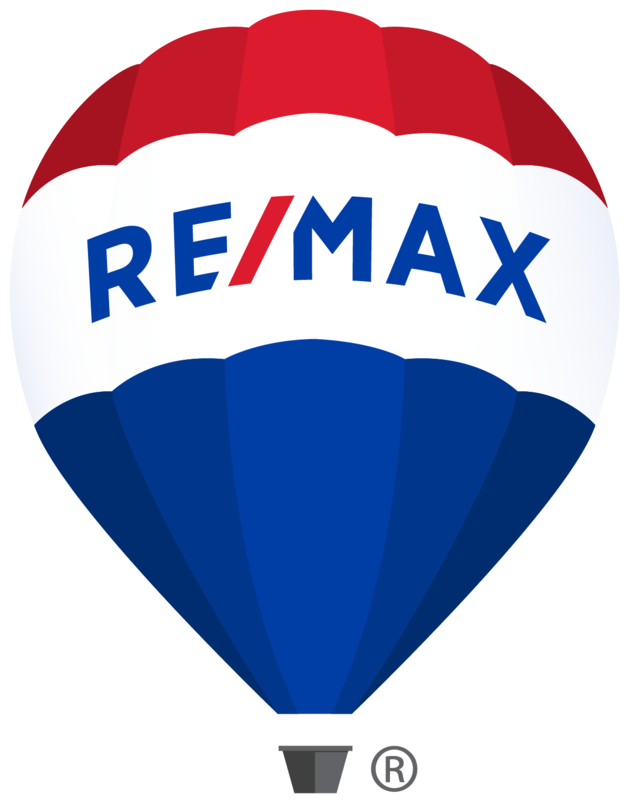 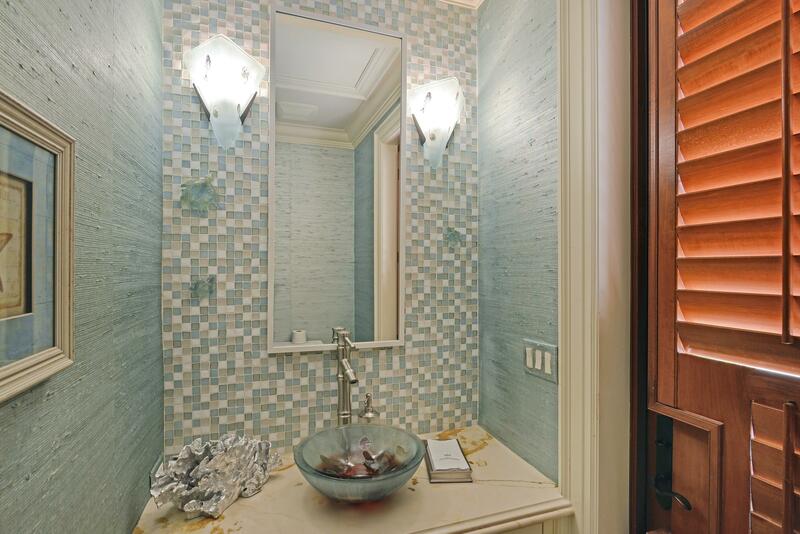 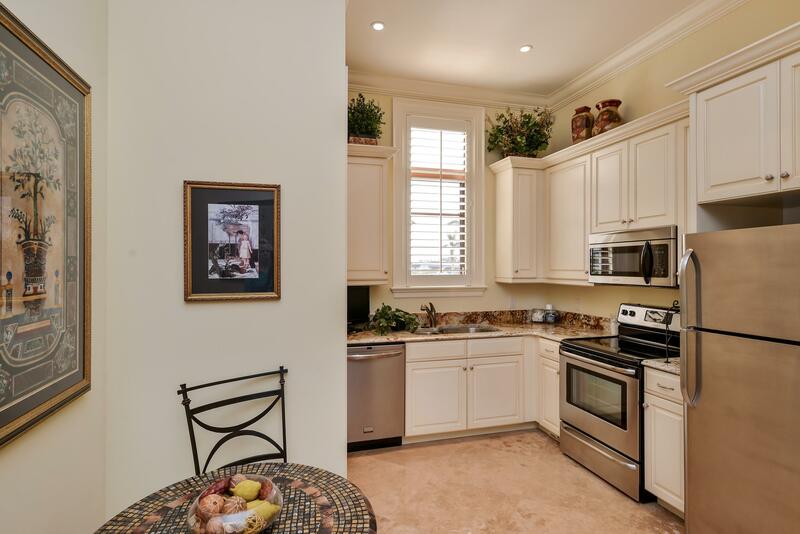 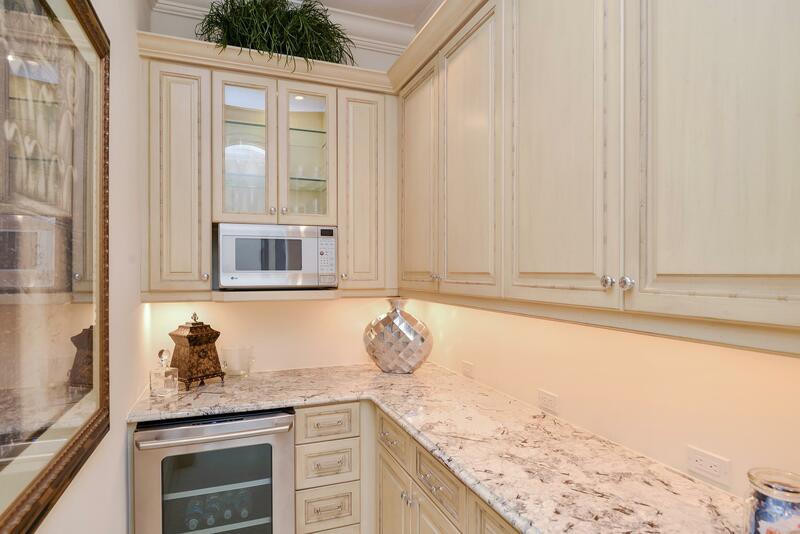 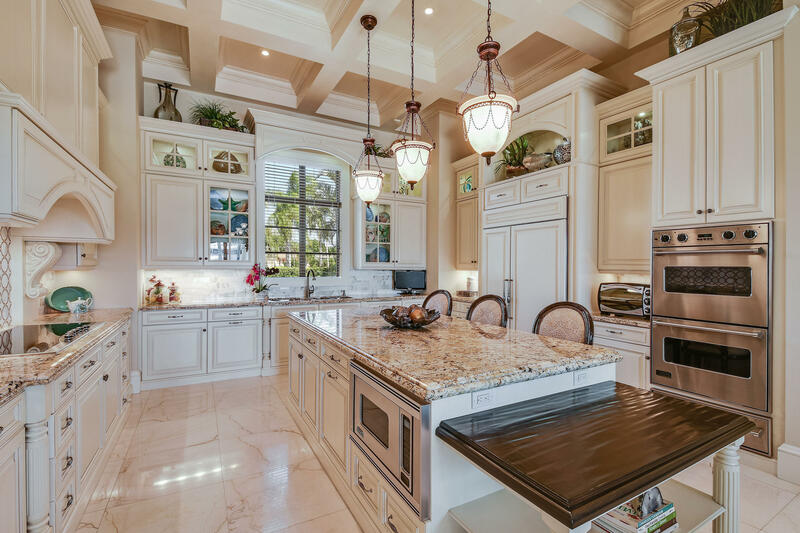 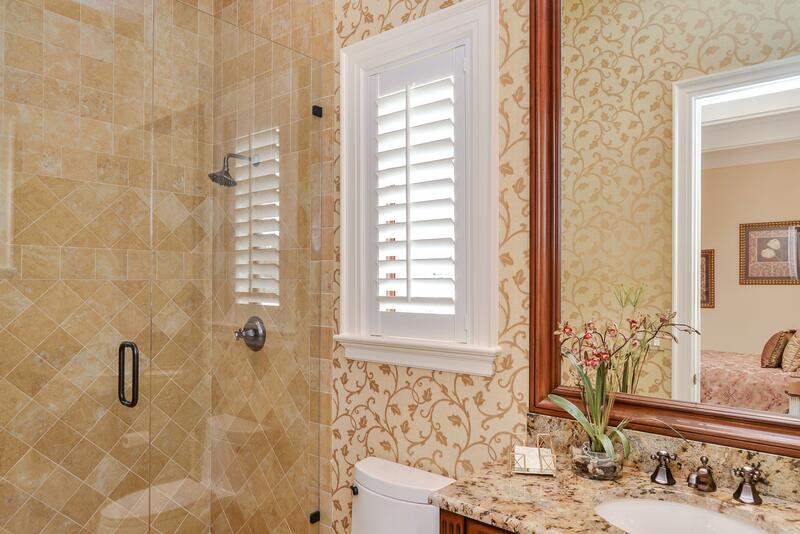 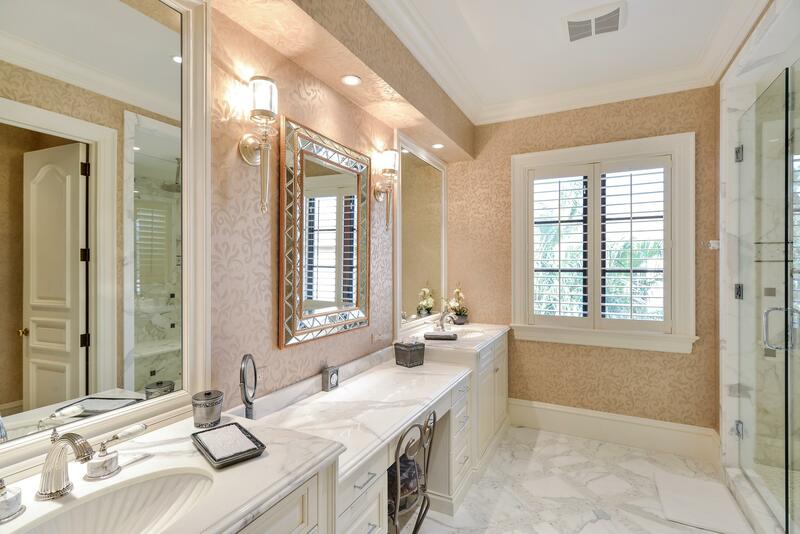 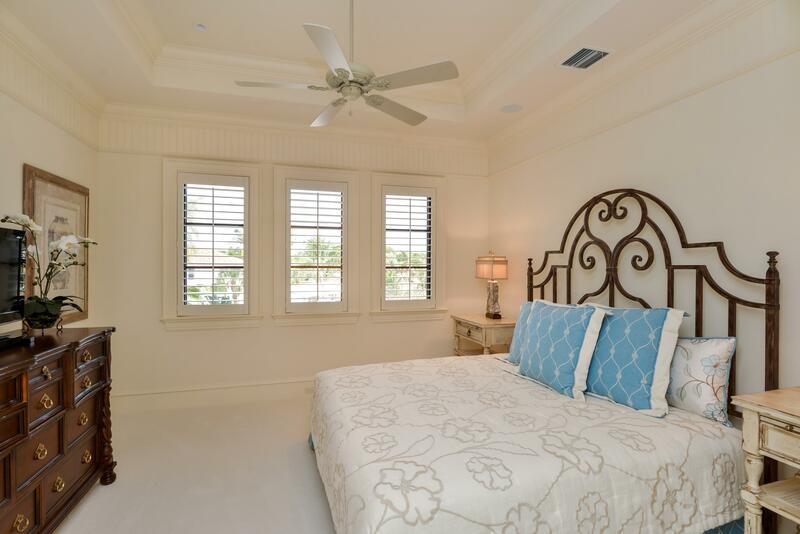 6 large bedrooms, 6 full baths and 2 half baths allow for a palatial amount of living space. 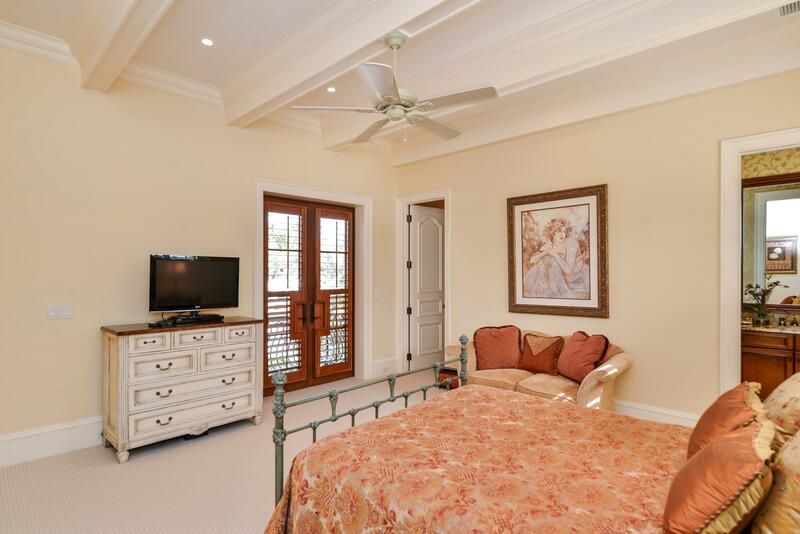 There are two master suites, one on the main floor and one upstairs, as well as a full-sized guest apartment for maximum comfort.